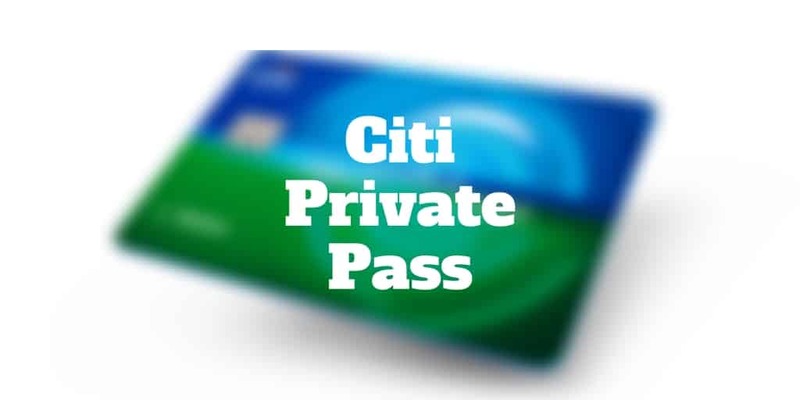 Home › Credit Cards › What Is Citi® Private Pass®? What Is Citi® Private Pass®? Citi® Private Pass® is a perk enjoyed by Citi credit cardholders that provides early access to music, sports, dining, and theater events. The benefit of Citi® Private Pass® is not so much that you will get to enjoy lower prices when attending events but rather that you may receive early access and preferred seating similar to a VIP. If you live in major metropolitan area, you will be able to take better advantage of the loyalty program because many events are located in big cities across the country. But unless you are sitting on a large nest-egg in your golden years and can afford to regularly enjoy nights out, the likelihood is Citi® Private Pass® isn’t a perk you will be using frequently. Nevertheless, you can treat yourself from time to time by taking advantage of great entertainment that may otherwise fly under your radar. How Does Citi® Private Pass® Work? What Are The Citi® Private Pass® Program Benefits? Is Citi® Private Pass® Right For You? You don’t need to sign up or login to access the Citi® Private Pass® program; all the events are listed on the front page of the website. However, you will need to already be a cardmember who has been approved for a Citi® credit card or a Citibank Debit Card. As a cardmember you get special access to buy tickets each year to thousands of entertainment events, including VIP packages, presale tickets, concerts, dining experiences, sporting events, and free movie showings. If you are not a Citi credit card or debit cardholder, you can view all the events on offer but don’t be tempted to transact because verification is conducted during the purchase transaction step, redemption process, or at the event. To be eligible for the special offers, all you need is to have Citi credit cards that display American Express, Mastercard, or Visa logos. Or if you have a Citi debit card which displays the Mastercard logo you are set to go too. When it comes time to access events, a passcode is required. Following your event purchase, you will be taken to Ticketmaster.com or LiveNation.com where a 6-digit passcode is needed that matches the first six digits of your Citi credit card or Citibank debit card. As a Citi credit cardholder, you get early access to purchase tickets. Before the public is eligible to buy tickets to a concert tour or event, you can buy during a presale period that typically is 2-3 days prior to the sale to the public. Cardholders also receive an allotment of Citi Preferred Tickets that are set aside for a limited time period during the general public sale. From time to time, it may be possible to reserve Complimentary Tickets for special events on a first come first served basis. You are limited to one complimentary ticket every six months. Perhaps one of the best benefits is the VIP Package, which may be premium seating, meet & greets with artists, or special access to hospitality areas. Citi® Private Pass® is a great perk if you live in a major metropolitan area and can get out to enjoy some of the many events featured nationwide. If you live in a rural area or far from big cities, you may find it is a hassle to commute long distances to attend the sporting, music, dining or theater events. So, if you are on the fence about whether to sign up to a Citi® card to become eligible to enjoy the perks of the Citi® Private Pass® program then your residential location should be a factor to consider. Another factor to think about is your disposable income. As a Citi® cardholder, you will have access to tickets to events but you will still need to pay to attend the events. If budget and geographical constraints are not an issue, and you enjoy the idea of preferred seating and special access to events, the Citi® Private Pass® program provides a great way to treat yourself to a wide variety of experiences that may otherwise pass you by. 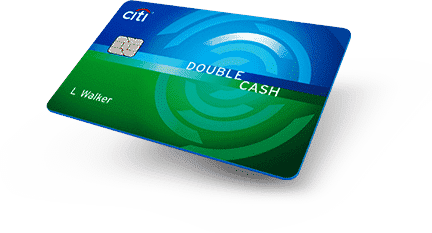 The Citi® Double Cash Card effectively earns you cash twice. You earn 1% cash back on purchases and 1% cash back as you pay for those purchases. Unlike many other cash back rewards programs which require you to pick a category, or select a new category each quarter, the Citi® Double Cash Card – 18 Month BT Offer card has no category restrictions. Plus, you enjoy a 0% introductory APR rate for 18 months on balance transfers. Thereafter, the rate ranges from 14.49% → 24.49%. And best of all, there is no annual fee. Keep in mind however that balance transfers do not earn cash back. And a balance transfer fee of $5 or 3% of the amount of each transfer, whichever is greater, will also apply. Hate late fees? You might fall in love with the Citi Simplicity® Card – No Late Fees Ever card. Beyond the headline benefit, you also enjoy 0% interest for 21 months on purchases and balance transfers. Thereafter the variable rate ranges from 14.99% → 24.99%. The Citi Simplicity® Card is the only card that charges no late fees, no penalty rate, and no annual fee. So, if paying your bills promptly is not your greatest strength, the Citi Simplicity® Card card is well worth exploring. Is a fee charged to participate in the Citi® Private Pass® program? No fee is charged to access the program. As long as you are a Citi credit card holder or Citibank debit cardholder you can take advantage of the benefit. However, you will need to pay for the events. Is an extra fee charged when buying tickets via the Citi® Private Pass® program? No, Citi does not ding you with any extra fees when buying tickets via the Citi® Private Pass® program. However, you may be charged a processing fee and/or shipping and handling fee by the ticketing agency. Do restrictions apply to the number of tickets available? Yes, generally you will be prohibited from purchasing more than a specific number of tickets but the limit varies by event or show. Do all cardholders have access to all events? No, some experiences or events are available to some cardmembers only. For example, Citi ThankYou® and Citi ® or AAdvantage® cardmembers enjoy select access to certain events. If you are not sure whether you qualify and want to check your FICO Score, visit MyFICO to see your credit score. Disclosure: Information related to the Citi® Credit Card and Citibank Debit Card has been collected by Investormint and has not been reviewed or provided by the issuer of this card.